Winter time in the classroom, specifically December to March, can be quite stressful as upper elementary teachers finish pacing guides, start test prep, and some even administer state tests this early. It is CRAZY! 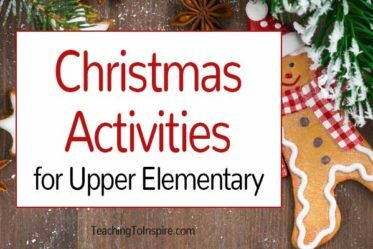 However, I always like to bring some winter fun into my classroom through seasonal activities that are specifically for 4th and 5th grade students. 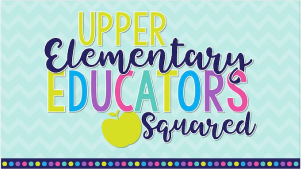 I want to share some of my favorite winter activities for upper elementary with you today. 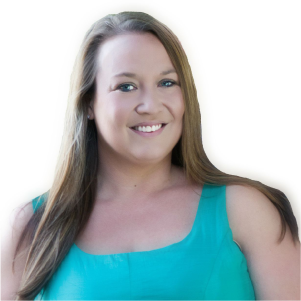 This post contains Amazon affiliate links if you decide you want to purchase any of the books mentioned in this post. 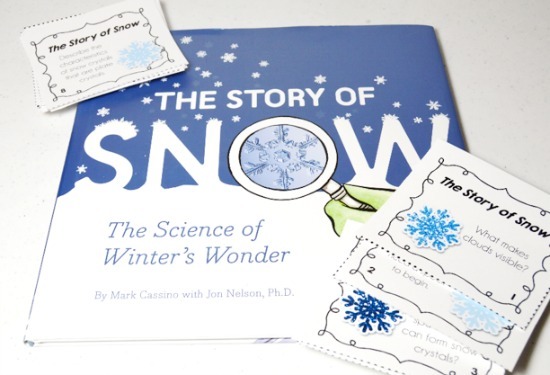 The Story of Snow: The Science of Winter’s Wonder is one of my favorite winter read alouds. The illustrations and pictures throughout the book are really engaging. For my students down in the South, snow is such a wonder to them. They love learning about it and this book does not disappoint. The book does a great job of weaving lots of facts and details in a story like format that is engaging as a read aloud. I have recently started creating task cards to accompany my read alouds and then placing the book and the task cards in a literacy center. You can grab some that I completed for Eve Bunting’s The Wall on this post. I also created a set of 18 task cards to go along with this book. The questions cover a variety of key informational text skills and the student will love looking back through the book to find the answers. Click here to grab the downloadable task cards for free. 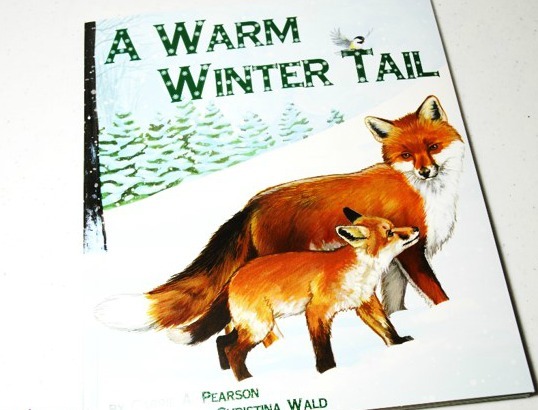 A Warm Winter Tail is another cute read aloud for winter time. A first glance, this seems more like a primary based book but I love it for my fifth graders, too. It is told from the “point of view” of various woodland creatures as they question about how humans stay warm in the winter. Each animal assumes that humans stay warm in a similar manner as they do. It is a fun book to reinforce perspective and how someone’s experiences affect how they view situations. Place the book in a center after reading it aloud and have students read the fun facts section (shown below). 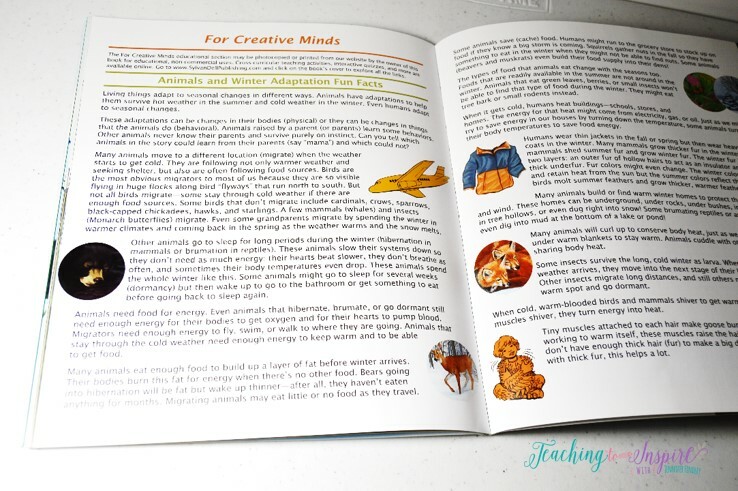 Then, have them integrate information from this section and the main book to write about how animals adapt in the winter time. Read aloud the main book and the fun facts section. Discuss similarities and differences in both the information presented and how it is presented. Students could write compare and contrast essays from this discussion. The final aspect of this book that I love is the natural tie in to how other types of animals adapt in the winter. This is a perfect time to complete a super engaging “blubber” science experiment to have the students explore how Artic animals stay warm in the winter. Click here to read more about this experiment. My students also enjoy reading more about winter themes in addition to the read alouds and other articles we read. I love using my winter passages and text dependent activities from my Winter Reading Comprehension Resource. 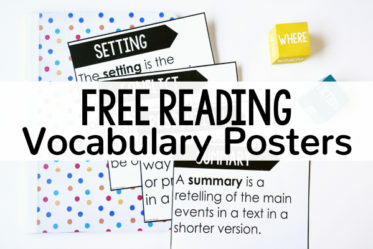 This resource includes a fiction passage, a nonfiction passage, and a poem. The students love the poem because it is written from the point of view of a snowflake. 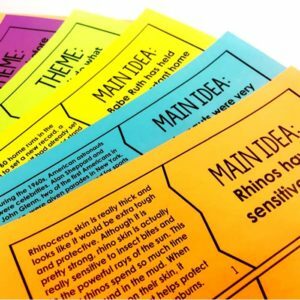 My students also love these passages and activities because the printable activities are varied and don’t require them to simply answer a bunch of comprehension questions>>>which are important but can get boring really quickly if the students have to answer pages and pages of questions. 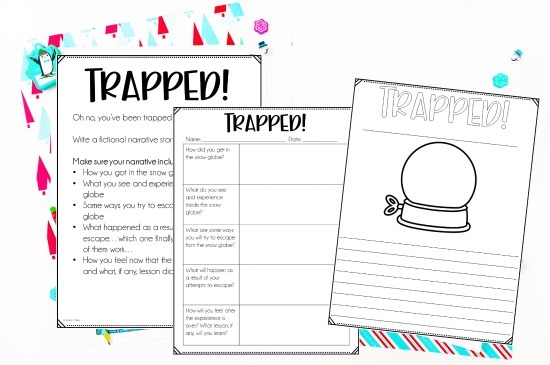 This pack includes themed graphic organizers, context clues printables, and other text-specific printables in addition to the text dependent questions. To see these passages and activities in my store, click here. FREE Winter Writing Prompt – Trapped in a Snow Globe! Trapped in a Snow Globe is definitely one of my students’ top 5 writing prompts. This writing activity really pushes their creativity and imagination and they love it! We do a lot of talking and sharing ideas for this one (using the free planning page as a guide) and that just makes it that much more engaging (and get’s some of their winter energy out!). 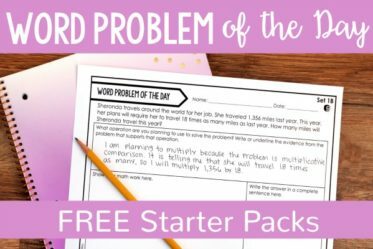 Click here or on the image to grab the prompt page, a planning page, and publishing pages (two versions) to do try this out with your students. I love using mad libs in the classroom. 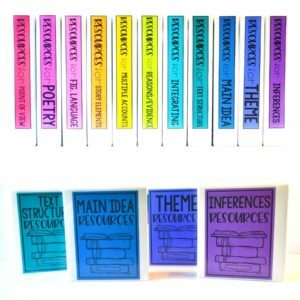 Not only are they a fun way to review simple parts of speech and allow the students to practice a little oral reading, they are a lot of fun for the students. 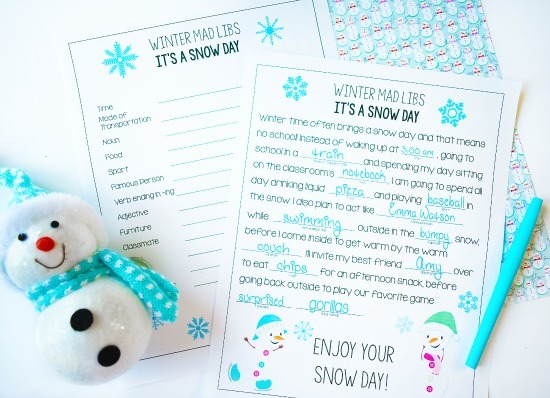 Click here to grab a FREE winter-themed mad lib activity with a fun snow day theme. 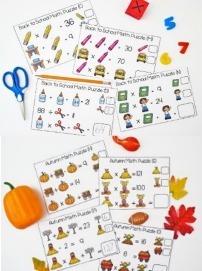 Winter time is the perfect time to mix things up in our math centers. 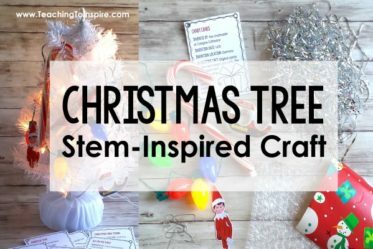 I usually keep my centers pretty consistent (click here to read more about my math centers), but I always like to mix things up with seasonal and holiday centers. 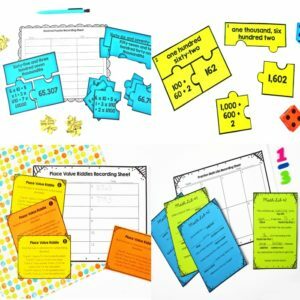 Winter is no exception, and I love using my math centers from my Winter Math Centers resource for some engaging themed math review. The picture below shows just a few of the centers I have in my store that are winter themed. 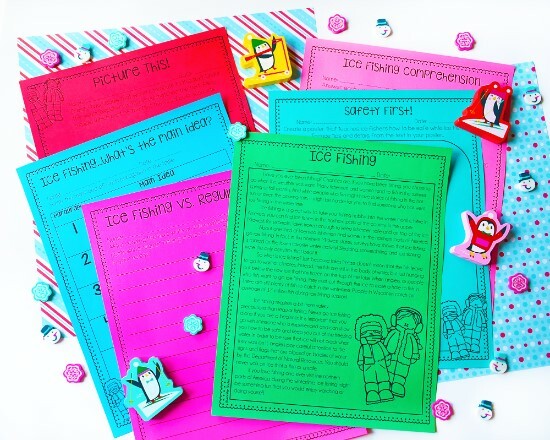 Click here to see all of my winter themed math resources, including some grade level specific winter math center packs. 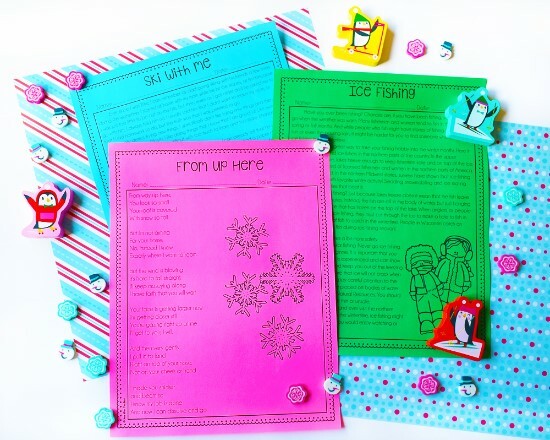 Speaking of themed bulletin boards, this fun winter themed freebie is perfect for that. 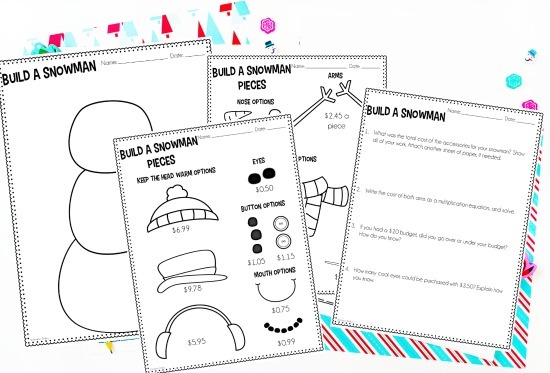 The students build their snowmen by choosing from two pages of accessories. They use their chosen accessories to complete the math printable included. The students will need to make their choices and calculate the cost of the accessories before cutting the accessory pieces off the page. Otherwise, they may lose track of the price of each. The completed snowman and math printable make an excellent bulletin board display. 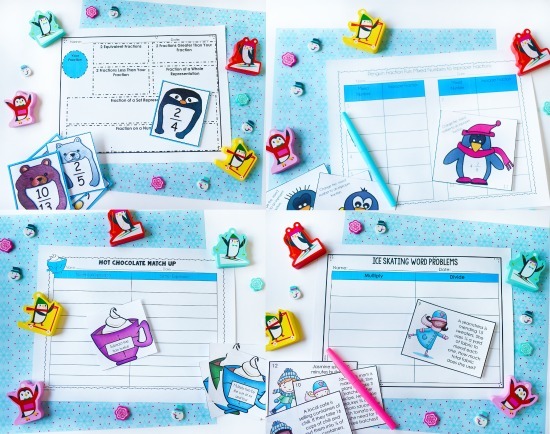 If you don’t want to use the printable, you could even just have the students write their total on an index card and staple it with their completed snowman. 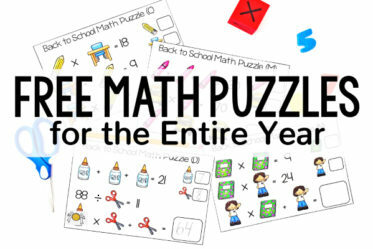 Click here to download a copy of this winter math activity for free. Winter-themed charades are a fun way to get some physical activity (hello inside recess) or for having a quick brain break. Split your class into two teams. Have the teams take turns choosing a card and acting it out for their team members to guess or for the other team to guess. 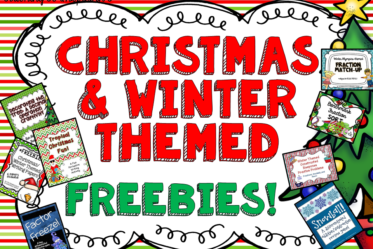 Click here to grab some simple winter charade cards. Sending home a winter break packet is definitely dependent on the teacher and the families they serve. 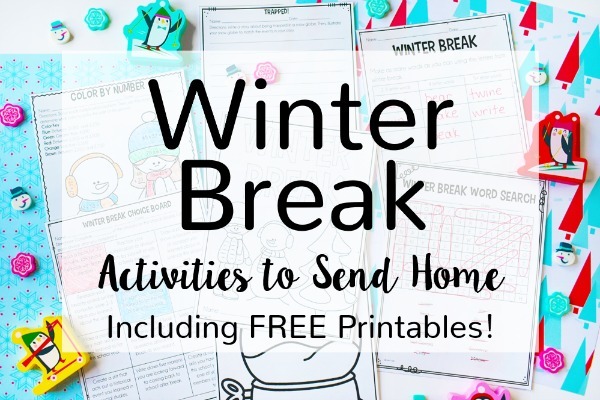 However, if you are interested in sending a winter break packet home home, click here or on the image below to see what I include in mine and grab some free printables. There you have it! 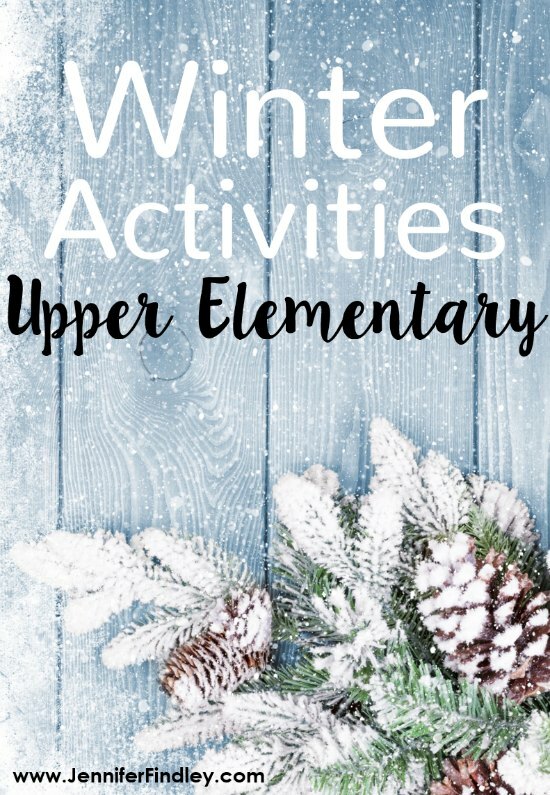 My favorite winter activities for upper elementary students. 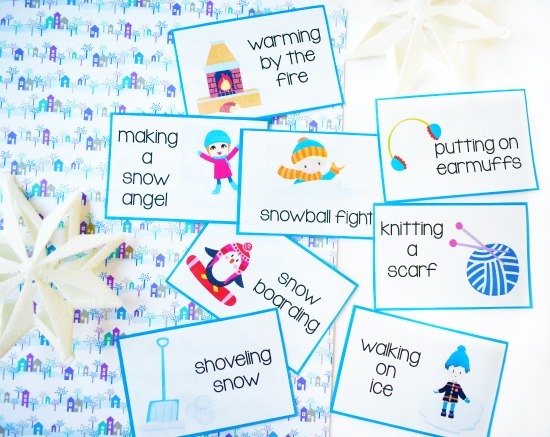 What are some of your favorite winter activities or read alouds? I would love to hear your ideas.